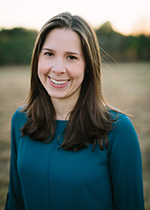 Sara Upson M.Ed., RD, LD, CEDRD is a Registered and Licensed Dietitian in the state of Texas, a certified Intuitive Eating Counselor, and also has her Masters degree in Exercise Physiology. She is the only IAEDP (International Association of Eating Disorder Professionals) approved certified eating disorder specialist in the entire Tyler/Longview/East Texas area. She completed her Bachelors and Masters degree from the University of Texas at Austin where she also completed the Coordinated Program in Dietetics, a highly competitive internship program. At the University of Texas Sara Coordinated the Nutrition Peer Education Program where she promoted healthy nutrition initiatives to students on campus. In addition, Sara has contracted with The University of Texas at Tyler, Sundown Ranch (a substance abuse treatment center), and Shield HealthCare to provide medical nutrition therapy for eating disorders and malnutrition. Sara is a sought after speaker on food peace, eating disorders and diet culture. In addition, Sara is also a graduate of Leadership Tyler (class 29) and a member of the Women’s Fund. Sara is originally from Tyler and founded My Signature Nutrition in 2011 when she recognized a significant need for out patient nutrition therapy specializing in the treatment of eating disorders and disordered eating in the Tyler/ East Texas area. My Signature Nutrition is a body positive, weight neutral practice focusing on changing behaviors and beliefs around food and body. Sara is passionate about helping people make peace with food and break free of rigid food thoughts, diet rules, and obsessive weight concerns. Sara believes that there are no good or bad foods and that all foods can fit in a healthy eating pattern- so don’t worry- she will never put you on a diet! As a dietitian, Sara’s goal is to provide individualized nutrition education and counseling to help you feel your best. Sara enjoys spending time with her family, reading, yoga, and music. Sara is not accepting new individual clients at this time, however you can join her waitlist for appointments by contacting our office at 903.312.8906 and requesting to join the waitlist. If you’d like to work with Sara, join her waitlist or connect with her in one of the many groups that she offers. 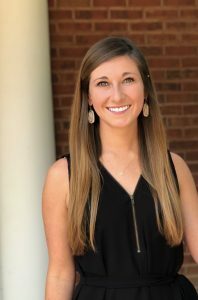 Mary-Lauren Shelton, RDN, LD holds a Bachelor of Science in Dietetics from the University of Kentucky in Lexington where she also completed the Coordinated Dietetics Program. Through her internship at Saint Joseph Hospital in Lexington, Kentucky, she gained experience working in Medical Nutrition Therapy and in Food and Nutrition Services. Mary-Lauren completed her community nutrition rotation at Green River District Health Department in Daviess County, Kentucky working as a community health and wellness educator, WIC nutritionist, and as a diabetes coalition member. Mary-Lauren’s eating disorder experience includes working with clients at various stages in recovery. She worked for Center For Discovery in Addison, Texas as an eating disorder Registered Dietitian Nutritionist in the PHP/IOP (Partial Hospitalization/Intensive Outpatient) setting. In addition to private practice at My Signature Nutrition in Tyler, Mary-Lauren is a Clinical Dietitian Nutritionist at Medical City Green Oaks Psychiatric Hospital in Dallas, Texas. She is actively involved in IAEDP (International Association of Eating Disorders Professionals), IFEDD (International Federation of Eating Disorder Dietitians) and CPSDA (The Collegiate and Professional Sports Dietitians Association). Mary-Lauren specializes in working with those with eating disorders, including athletes and those with mental health diagnoses. Her approach to recovery involves working closely with her clients to create individualized treatment plans focusing on a non-diet, weight neutral approach. She believes in helping her clients make peace with food by challenging the diet mentality, providing nutrition education, and creating a positive relationship between food and body. Mary-Lauren provides nutritional counseling in-person, over the phone, and through virtual video conferencing to accommodate her clients’ schedules. Schedule an appointment with Mary-Lauren by clicking here.